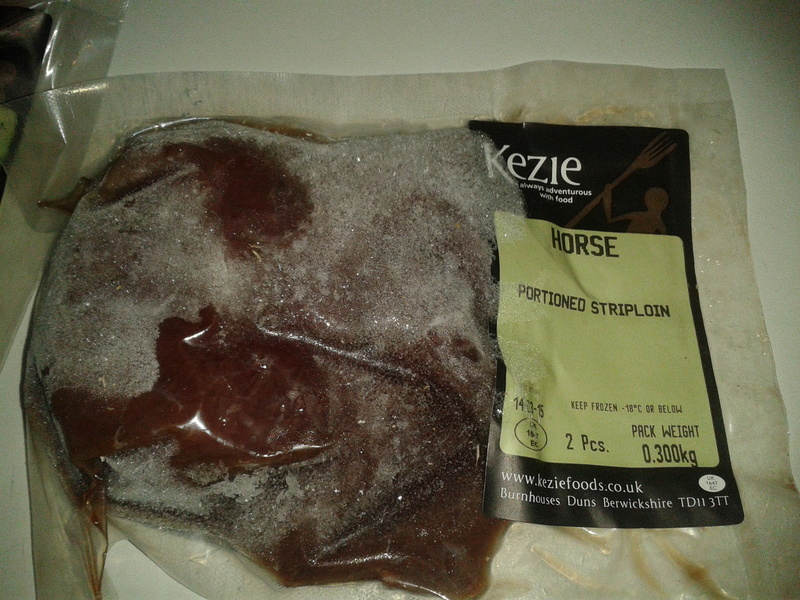 The meat was bought through keziefoods.co.uk? As a horse owner and lover it’s a knife-edge point of view on my part. I wouldn’t eat horse meat knowing that the animal was once someone’s companion, pet, or competitive partner. My own horse was a rescue case, and it makes me sick thinking that if I sold him he could eventually end up on someone’s plate. 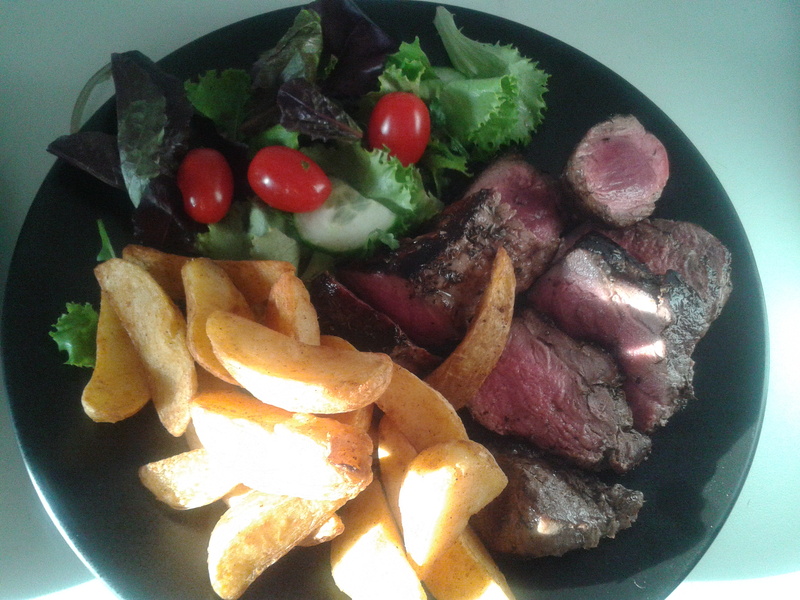 However, if a horse was bred specifically for the food market (and still received exercise to keep them lean), then I would happily dive into a horse steak. The british have this rather strange habit of only eating meats that take very little exercise during their lives. Cows, sheep, pigs etc. I’ve eaten horse in France and dog in South Korea. 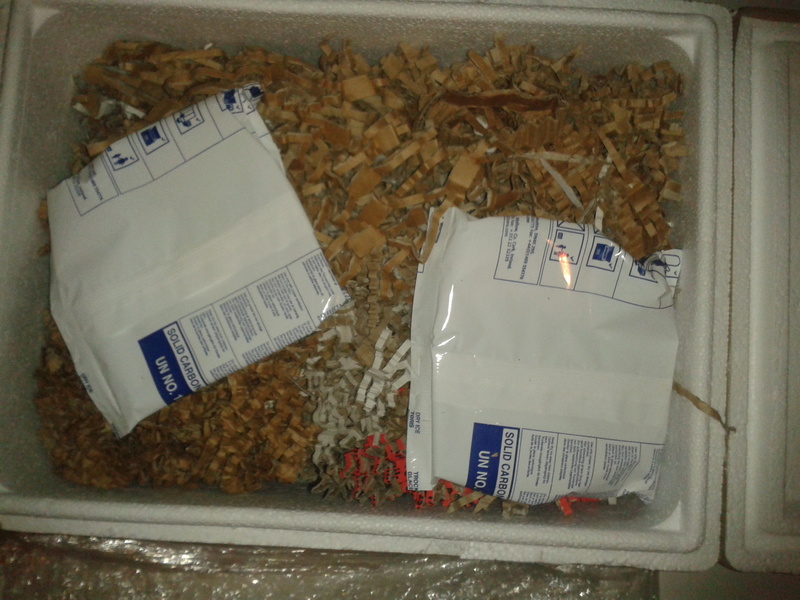 I’ve also bought meats from a London based company including antelope, kangaroo and zebra. 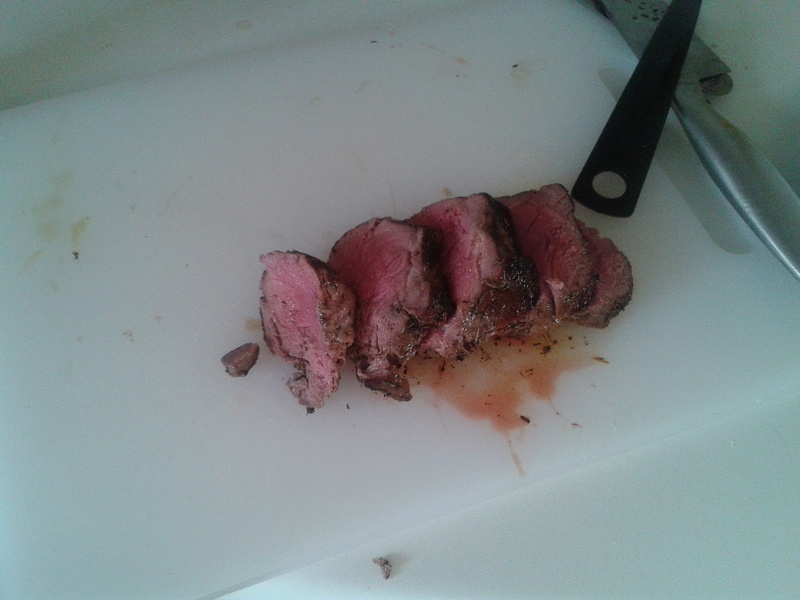 That meat is generally leaner, a little tougher but tastier in general. This also applies to venison which I buy regularly. 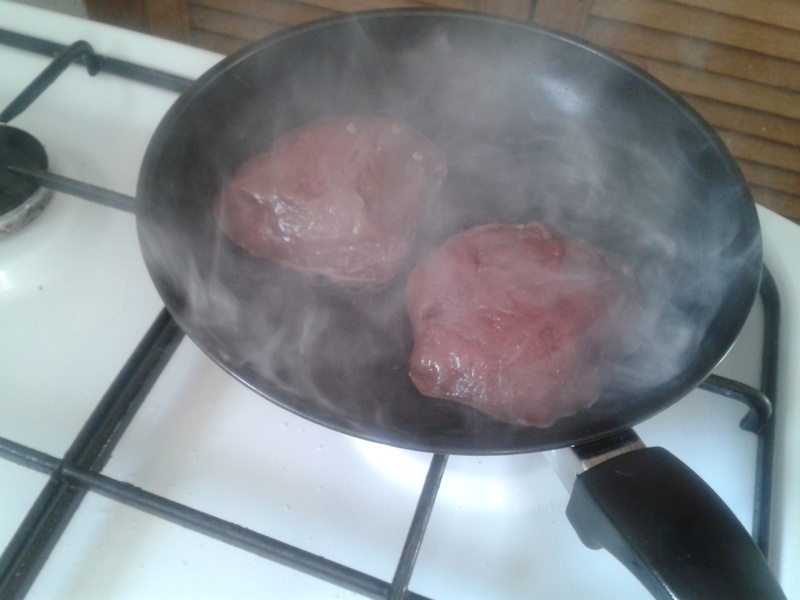 I tend to slow cook these meats, the horse meat in your picture looks a bit on the pink side for my personal taste. Loved the review, and the title. The horse meat issue was over being sold in and as beef products and the possibility of containing ‘byte’; not over the fact that horse meat shouldn’t be consumed. Great review. The food on the site you highlight are interesting to say the least! Not sure I’m brave enough to try most of them, but more that I’m not a huge meat eater rather than I have a problem with it. Hubby on the other hand is very up for them. Well. When I lived in Las Vegas I made a few wagers on the ponies. So I would try horse meat with a certain amount of ambivalence. Speaking from the perspective of my (apparently) sheltered life in Canada, I have to say that I’m wildly impressed by your culinary bravery! I don’t think it’s even legal to sell horse meat in this country. Well done! I sitting here in Montreal looking up recipes for the piece of horse meat I bought earlier today. 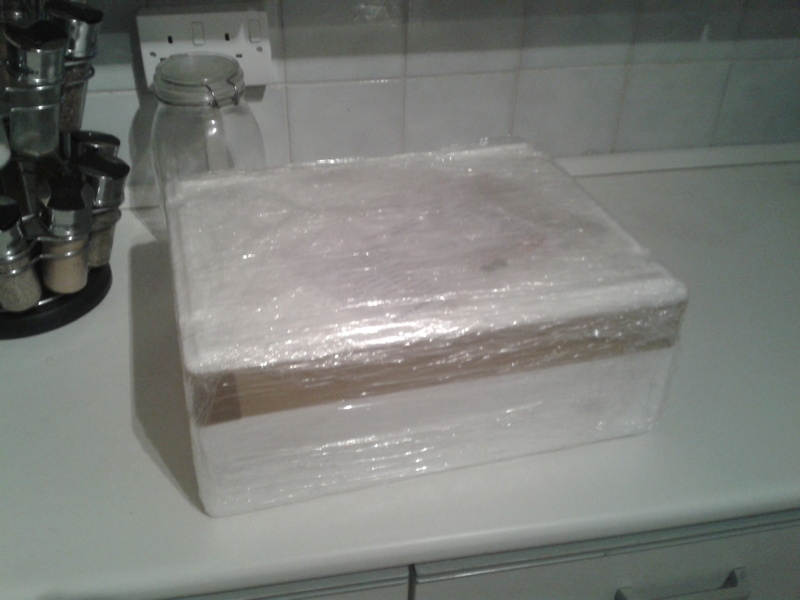 I did not have to buy it out of the trunk of a car, it was at my local supermarket. Actually here in Quebec it is somewhat common, there are a few horse butcher shops that sell nothing but horse…and I see it at the supermarket all the time. It was on sale today. Yay or neigh… Effing funny. Loving the writing styles here my friend. I’ve seen horse meat sushi at a number of restaurants here in Japan. It’s not terribly popular (as it’s meat rather than fish), but people tell me it’s incredibly tender and has a nicer flavour than raw beefsteak (and no, I’ve never seen beefsteak sushi). The whole recent “scandal” of horsemeat in Europe has amused me. Understandably people are upset that something sold as cow is actually horse, but other than that it shows up the wonderful differences in regional emotional attachments. In China, you can find dogs to eat everywhere. In Japan you occasionally see whale steaks in supermarkets, complete with a cartoon “happy whale” picture! And in Thailand a huge variety of insects are sold as snacks from roadside stalls. Yet invite someone in the West to eat any of the above and in general they’ll be either disgusted or horrified by the thought. My daughter was so grossed out when I wanted to buy horse meat when we were in the supermarket in Switzerland, that I put it back. I’ll try it another time then. Joe, thanks for doing such a detailed review of this meat. 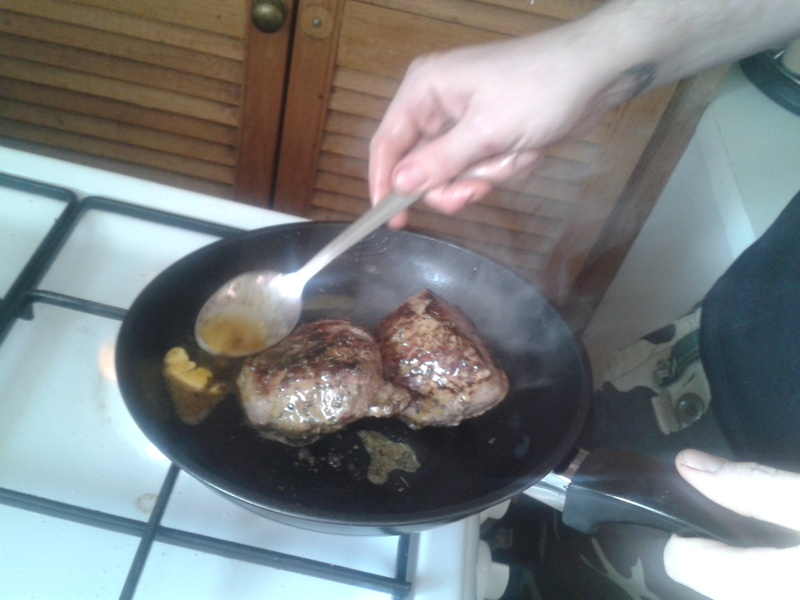 I have been anticipating this post since your last entry regarding the ‘scandal.’ I especially appreciate your simple cooking method of the meat, to be able to better gauge the quality. Please read my post “Meat Comes from Animals”, I think it goes hand in hand with your overall philosophy on the issue. Cheers! Yay. I’m in France now so the next time I see it on a menu, I’ll be sure to try it! 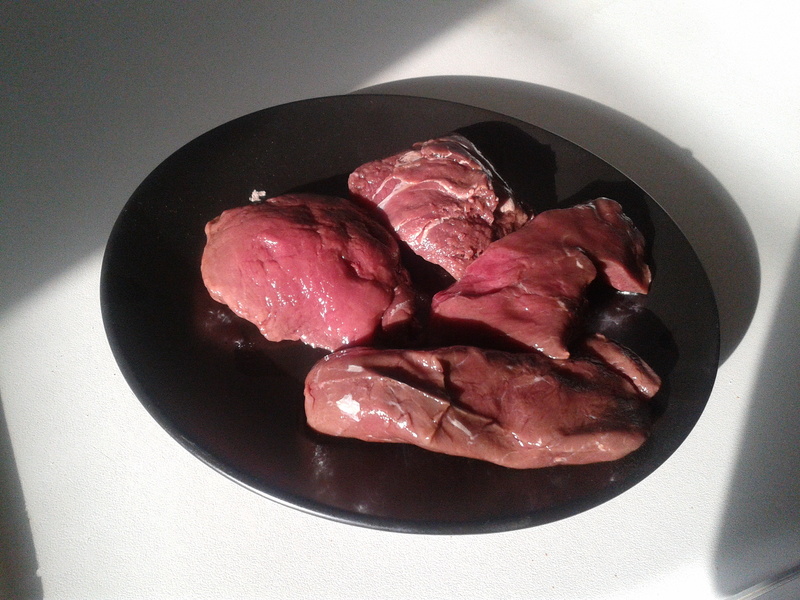 Probably the most adventurous thing I’ve tried so far is tongue steak. That was delicious and had a great texture too. I’ve been rather unlucky and have to say that I have not yet tried horse meat. It’s the one thing I look forward to trying. The idea of it not being game and not exactly farmed for food makes it rebellious and exciting. Way to assert yourself into trying new things! In my opinion it is as safe and unsafe as any other meat, they’re cute and very smart animals but so are cows,sheep and the rest of the animal kingdom. I would say no if they served me dog’s meat… (Because I love our little bugger)So I understand some of you! But for me …Yay! Oh and the scandal here wasn’t the fact that it was Horse meat, just wrong that they sold it as beef…Which IS very wrong 🙂 Great Post though! I’d eat it. Horses were domesticated by man – there’s still plenty of wild horses out there, same as elk and deer. I’d feel like a hypocrite if I happily ate a delicious elk steak (and I LOVE elk) while turning my nose up at horse. What’s the difference, really? Actually the population of wild horses is declining dramatically. The US’ BLM should resort to birth control to keep populations under control rather than taking more animals out of the habitat than is actually necessary. 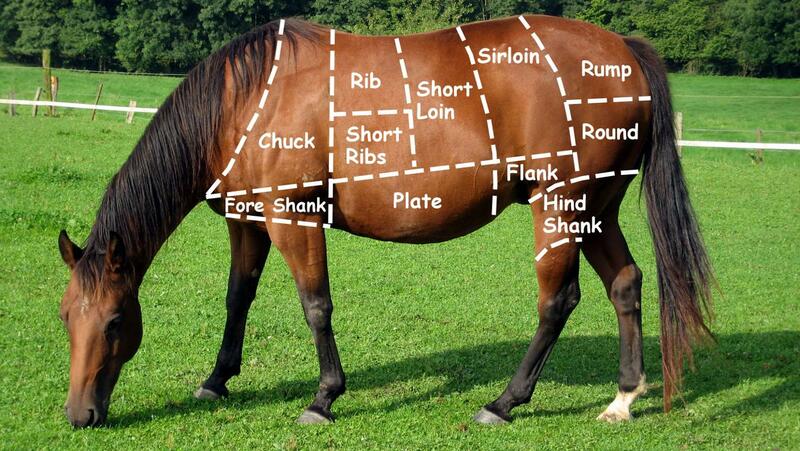 Funny thing is, even though I love my horse when he dies I might as well cook him up…waste not. And yes elk is freaking AMAZING (so is bear, if you’re ever curious). For me it is a neigh for oractical reasons. My horses can tell if someone or something eats horse meat and they either avoid it or stomp it, and I like being able to catch them and not getting killed. Wow, I will need to try horse sometime. Great post for those who might be on the fence. I don’t know what country you live in, but not all countries are equal when it comes to slaughtering standards, that is, what kind of animal is acceptable (standing up or downers, is the meated tested for disease and medications, are the animals killed humanly, is the slaughterhouse clean). 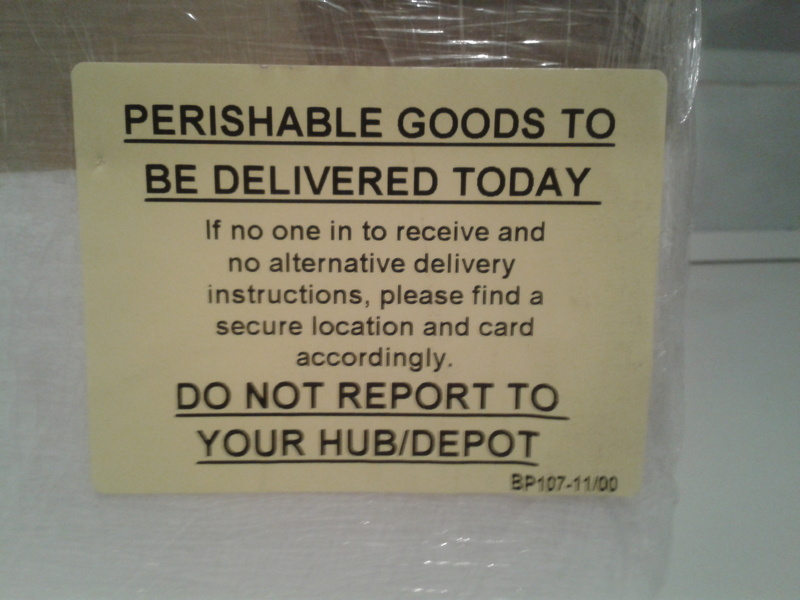 When you order from another country, you are taking your chances as there is absolutely no way to be sure where they got the meat from as they could be resellers. As for horse meat itself, you might want to read this article, clicking on the picture of the plate of raw cuts of horse. my daughter had it in Japan and said it was very good. I could never eat it though. Had too many friends who were horses.